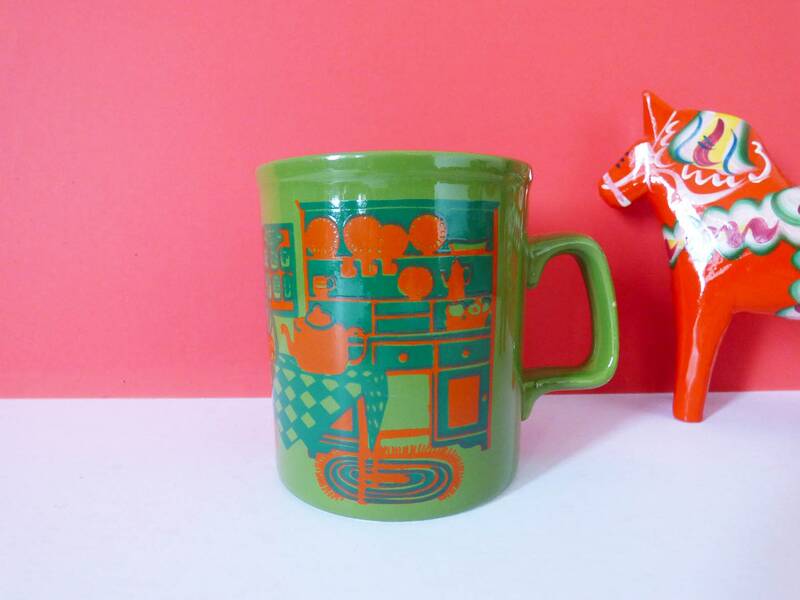 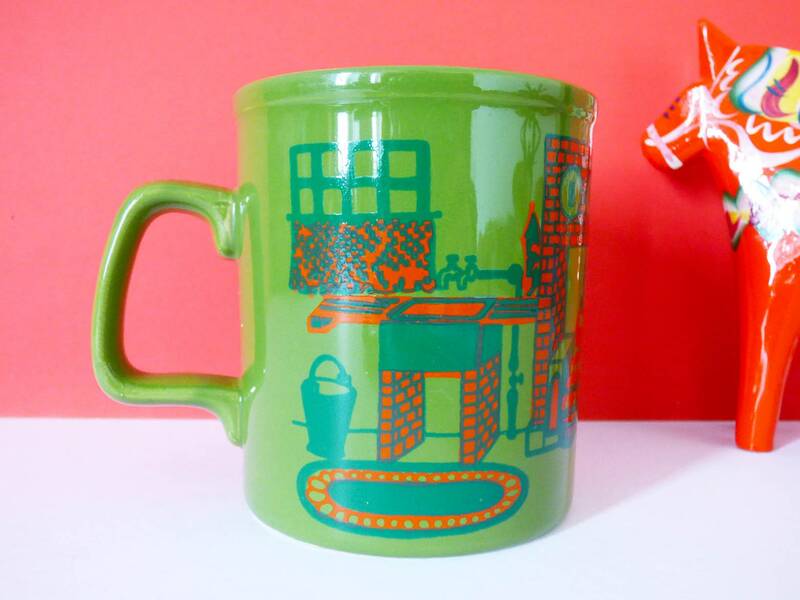 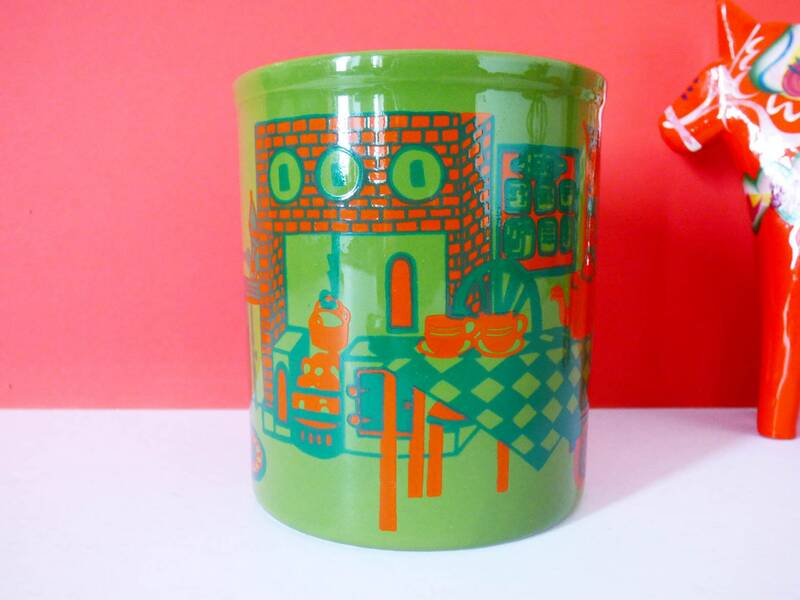 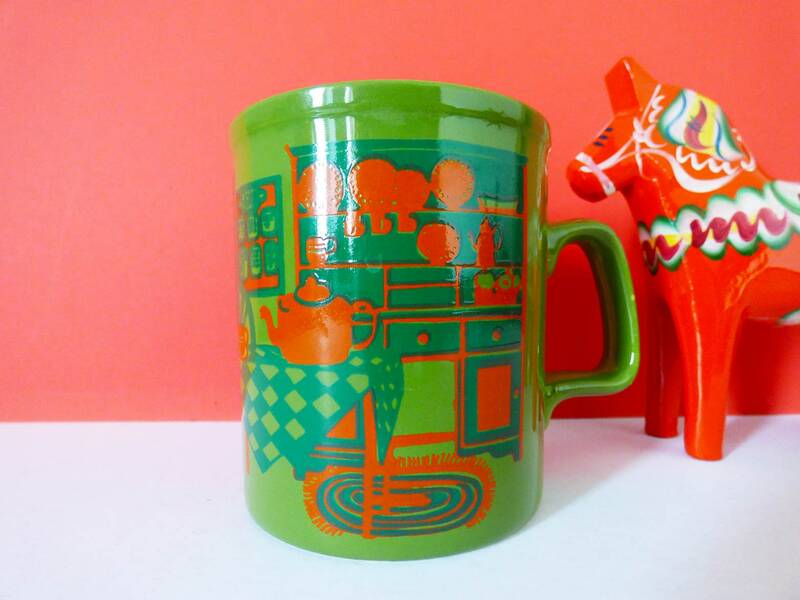 A lovely 1970's Staffordshire potteries mug, with a wonderful illustration of a kitchen scene, produced in dark green and orange, screen printed onto the green coloured mug. 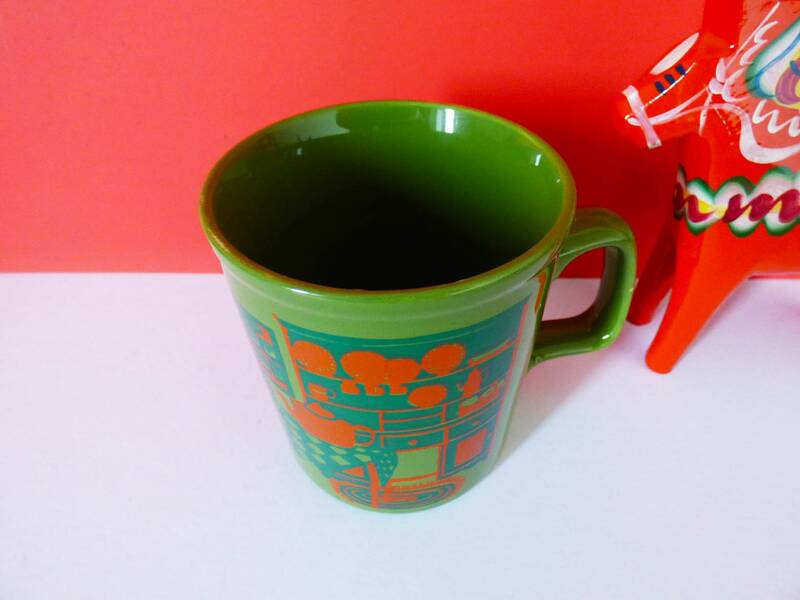 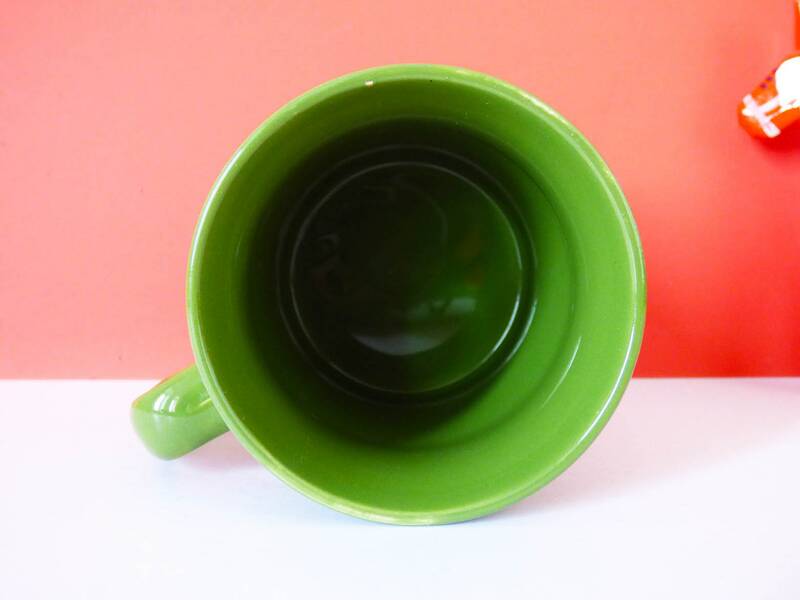 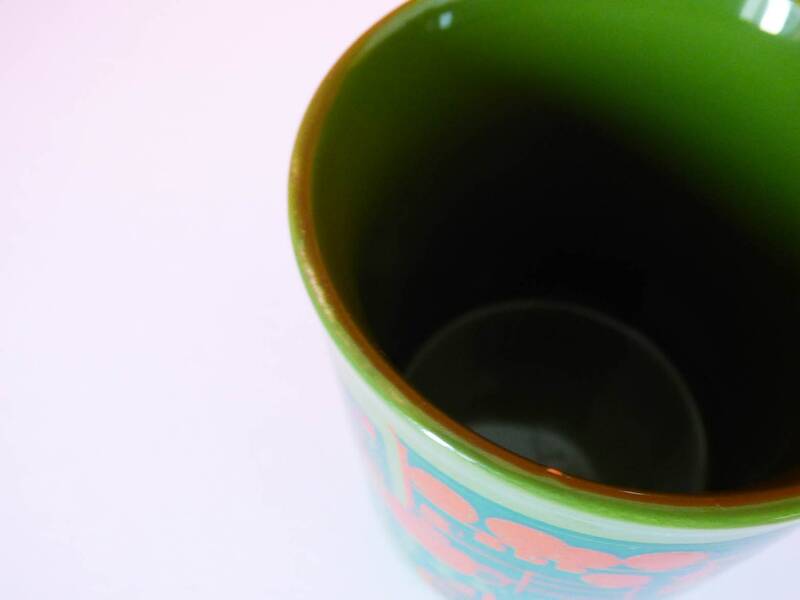 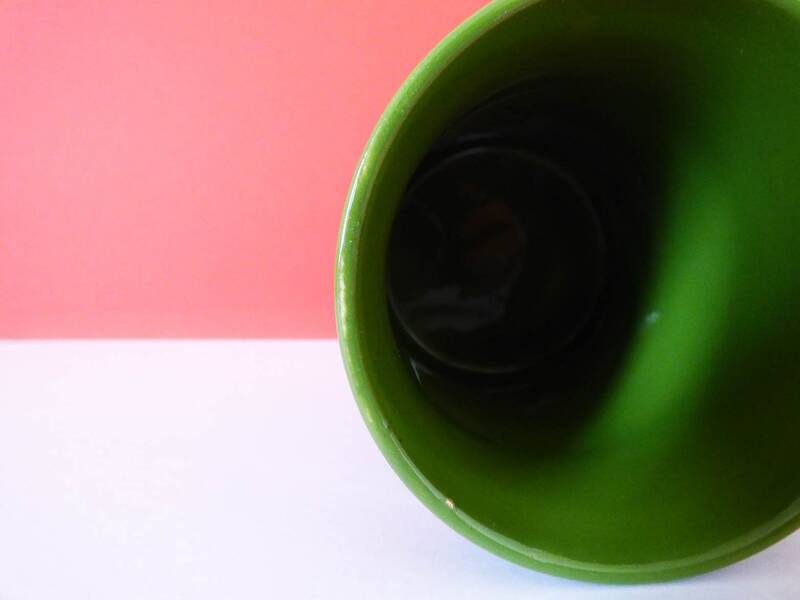 The mug measures 9cm tall with a diameter of 8cm and is in great condition. 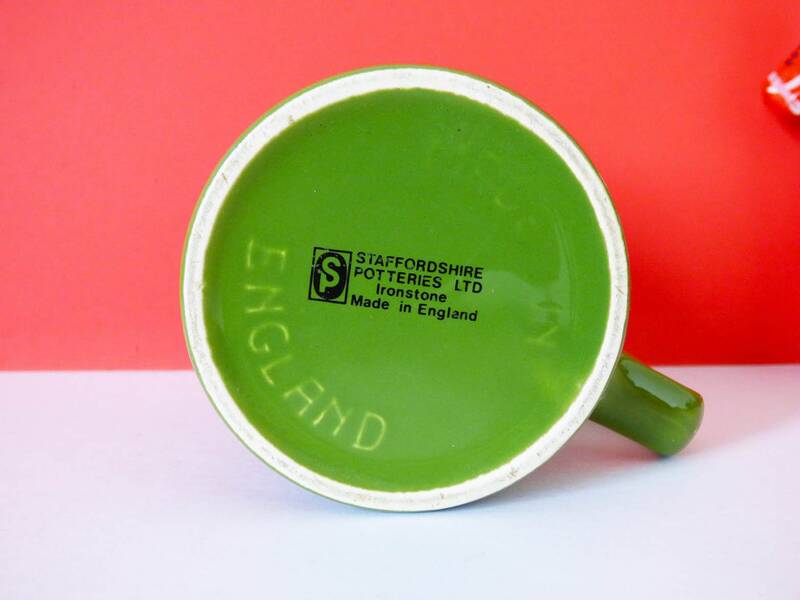 The condition of this mug is very good, there is a tiny scratch to the rim, its as if the glaze was thin here and its worn or been scratched away, this really isn't noticable but these things are always worth a mention..
Everyone should own a favourite mug so if you love vintage and have a thing for the 70's this could be the mug for, of course, it would also make the perfect gift for any groovy vintage fan. 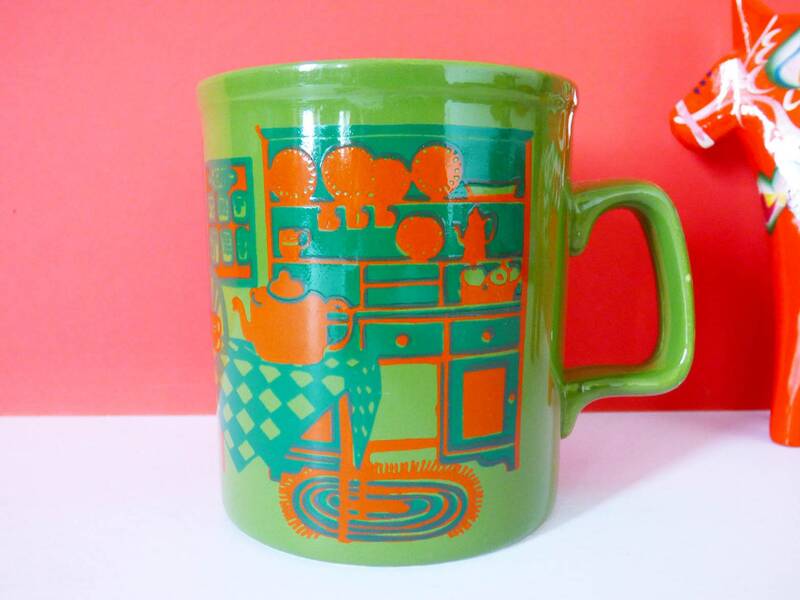 A wonderful find looking for a new retro home.